So, the last nails were hammered in and, as is traditional, the roofers have to be thrown a chicken to mark their achievement in bringing the building to this stage. They have to catch it and bring it down to be cooked and shared with everyone as part of the celebrations of the fact that the building has reached a definitive stage. 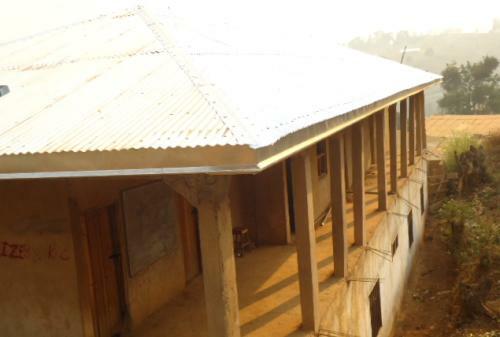 Fred sends his sincere gratitude to all who have helped to get the school to this stage. Wish I could have been there to share in the celebrations. Settled for a glass of wine instead. While this is a significant achievement there is still much to do, but for now we can all give ourselves a pat on the back for getting this far. Categories: Countdown to Cameroon | Tags: Africa, Cameroon, Kumbo, volunteering, volunteers | Permalink. 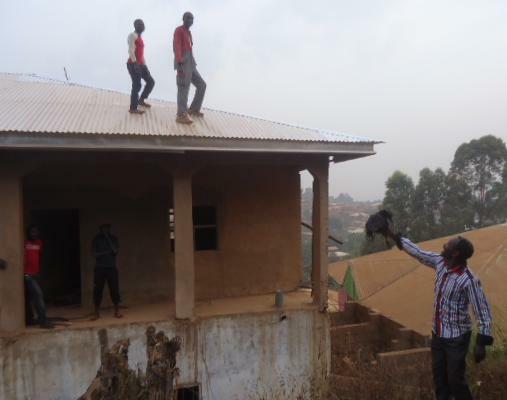 Cameroon Update – The end for the roof? Fred’s comments says it all. What a great move?. We got the money and did not get to the office. 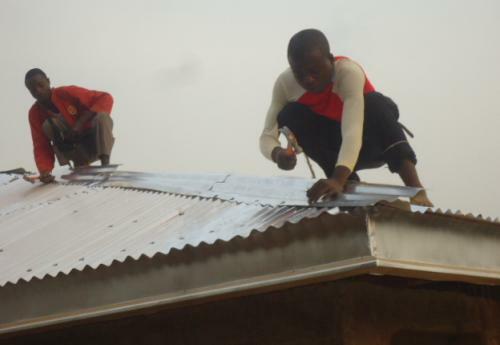 We passed straight through the building material shop and bought one and half bundle of zinc which is now completing the roof. It wonderfully appreciated and a surprise to many. The roofs will be completed today and we will throw a Chicken up to the carpenter as a tradition before he would come down from the roof. 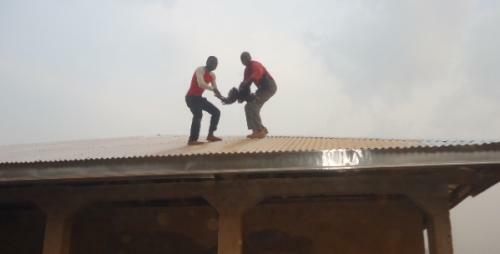 This is a sort of celebrating an achievement of the roof being completed. The chicken will be eaten at the site. I am sending you the progress pictures and will send to you the completed one later. I am just very excited as I cannot wait until it is finished this afternoon before I get to you. You are really a star. God has given you a wonderful gift for fund raising. I cannot imagine that only three of you raised that huge sum of money. 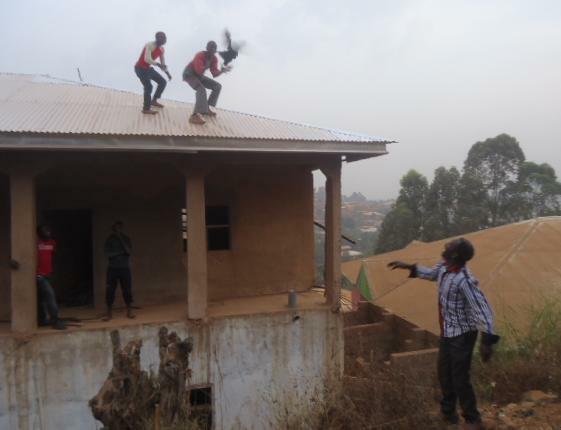 If you did not come to Cameroon who would have done this to us? God alone knows why he really directed you to SeReP. I will use the other 5000frs to buy the ceiling to cover the veranda, as you can see from the stair way in front of the office. The one which you supported to be put into use last time. We really thank you so much for what you have done. I hope others will follow and get on with the ceiling, plastering, fitting of the windows and doors, painting and so. The students will have to welcome you at the bus stop if you will be coming in November in the morning. May you really be blessed.